When you get a dental injection, your body wonders why on earth you’re allowing a sharp metal object to penetrate your gums! It quickly tries to repair the damage by increasing blood flow to the area so it can carry away the anesthetic, which it views as a foreign substance. As you might have guessed, if your body’s protective response tries to get rid of all of the anesthetic, it’s not going to last very long. This was a big problem with anesthetics back over 100 years ago. Then, something exciting (to dentists anyway) happened! A guy named Abel discovered adrenalin (a more common name for epinephrine) in 1897. In 1903 Braun suggested using adrenalin as a “chemical tourniquet” to make anesthetics last for a longer period of time. This Braun fellow recommended using epinephrine at the very small concentration of 1 part to 10,000. That may seem weak, but we’ve found that even diluting it to 1 part to 200,000 still retains the beneficial effects of epinephrine while minimizing the side effects. Epinephrine is what is known as a vasoconstrictor, which is just a fancy word for something that causes your blood vessels to constrict, or get smaller. It is this vasoconstrictor effect of epinephrine that makes it so useful in dental anesthetic. By constricting your blood vessels, it benefits you and your dentist in the following three ways. 1 – The anesthetic gets absorbed more slowly into your body because blood flow to the injection site is decreased. Since blood levels of the local anesthetic are decreased, the risk of having an “overdose” of the dental anesthetic is minimized. 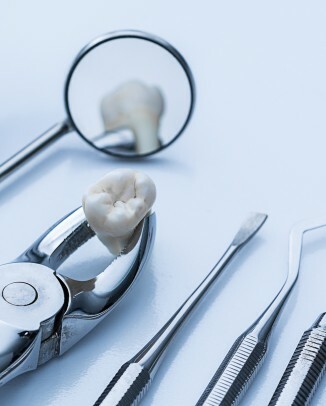 2 – Since there is less blood flow, the dental anesthetic stays put right around the nerve for a much longer time, allowing it to work for a longer period of time than it would without epinephrine. This means that you stay comfortable throughout the entire procedure. It also means that you might be numb for a few hours after leaving the dentist – a sometimes unwanted and embarrassing side effect! 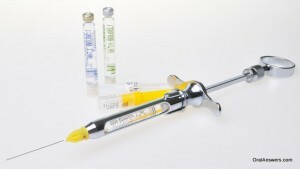 3 – Minimizes bleeding where the anesthetic was administered. This is great if the dentist is performing a more involved surgical procedure involving the gum tissue since it makes it much easier to see what we’re doing if there’s hardly any bleeding. Epinephrine is the most common vasoconstrictor used in dental anesthetic in the United States. In Europe, a vasoconstrictor called levonordefrine is commonly used. If you prefer to not have these beneficial effects of epinephrine or if you have had heart problems, your dentist may elect to use a dental anesthetic without epinephrine. If that’s your preference and you want to seem like you know what you’re talking about, just ask your dentist for Carbocaine without epinephrine. That’s the most common brand name of dental anesthetic without any epinephrine. If you have any questions about dental anesthetic and epinephrine, feel free to leave a comment below. Thanks for reading! In order to get certified to give patients nitrous oxide (commonly called laughing gas), I have to administer it several times to prove my competence. Last Friday afternoon, I was able to give a patient nitrous oxide and literally change his perception of dentistry. On Friday though, he said he felt great. He was telling jokes in the dental chair and having a great time. He said that the nitrous oxide made him feel great, he said he felt like he was drunk. He was a fairly young guy that had simply avoided going to the dentist and ended up with a few lost teeth and a lot of teeth in bad shape. Nitrous oxide has given him the ability to overcome his dental anxiety and sit in the chair. As you can see in this picture above, nitrous oxide is given to a patient through a mask that is placed over the nose. In addition to nitrous oxide, we run oxygen into the mask so that the patient is always getting more oxygen than they would just by breathing in regular air. 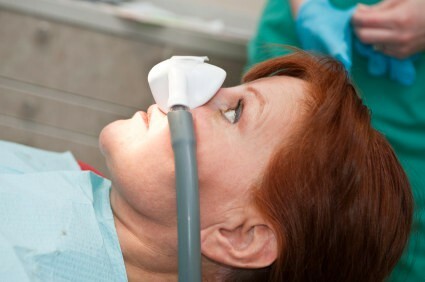 An advantage of nitrous oxide over other forms of sedation is that it works pretty fast. Within a few minutes, the patient is relaxed. Also, when you have finished your dental procedure, the recovery is fairly rapid as well. You are able to drive home after the appointment since you don’t remain drowsy. Nitrous oxide is safe when it is administered with adequate oxygen. Although side effects are fairly rare, the most common side effect of nitrous oxide is nausea. Nitrous oxide may be harmful with long-term exposure. This doesn’t really apply to patients, it’s more for those people who work at dental offices and get exposed to it every day for years. 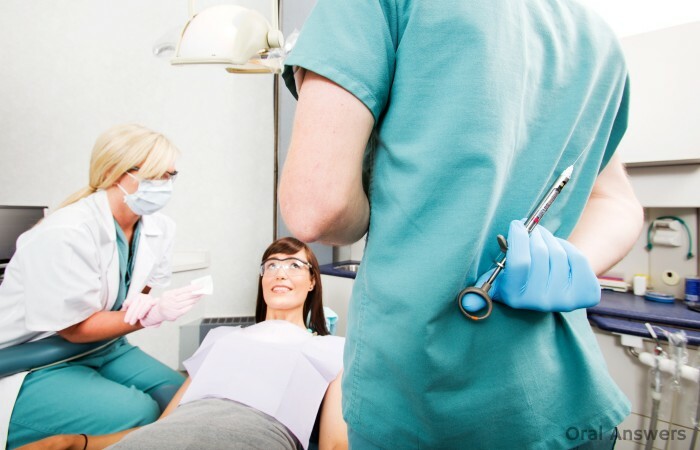 Nitrous oxide can help many patients overcome their dental anxiety. I have a patient with a lot of dental fear that gets nitrous oxide every time he comes in. He loves how it calms him and allows him to get his needed dental work done. 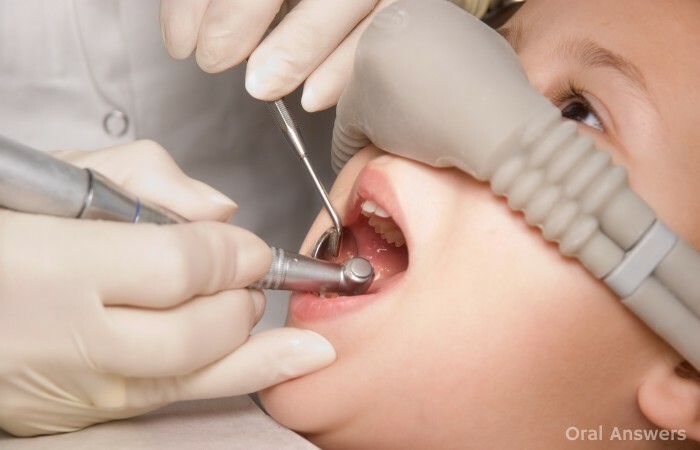 Do you have any questions or comments about nitrous oxide in dentistry? I’d love to hear what you have to say in the comments section below. Thanks for reading! The United States’ biggest illegal drug problem is marijuana. Can you guess what the second biggest illegal drug problem in the United States is? Prescription painkillers. Did you know that dentists are second only to general practitioners in terms of the volume of pain medications they prescribe? Last week I was volunteering at a community dental clinic in a rural area. 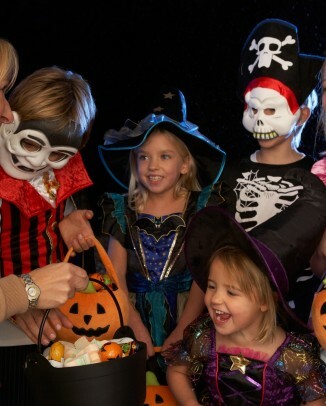 We had a few cancellations that day and we agreed to see an emergency patient who stated that her tooth was hurting her. I brought her back and had her sit down in the dental chair. After performing an exam and taking an x-ray, the tooth seemed in great condition. This article from TIME Magazine’s website talks a little bit more about the problem of prescription drug abuse. It says that more than 2/3 of people who abuse pain medication get it from a friend or relative’s medicine cabinet. So many people save leftover pain medication just in case they get severe pain in the future and end up needing something stronger than the typical over-the-counter pain medications. Bohlin, himself a long-term recovering addict and an expert on addiction in dentists, recently got fooled by a patient requesting an opioid prescription. “I called the pharmacy and they said, ‘We won’t fill that,'” because apparently she was known to them as an active addict, he says. I agree with Bohlin that we need to respect people’s pain. It is wrong to conclude that someone is not experiencing pain just because they have a history of abuse. That being said, it’s difficult to remain objective and not be judgmental when you are treating a patient with a known history of narcotic abuse. Although in the minority, I have had patients tell me that they are recovering addicts and that I shouldn’t give them any prescription painkillers. Sometimes they will simply ask us to prescribe a stronger version of over-the-counter Motrin [ibuprofen]. Motrin (ibuprofen) is actually very effective in treating dental pain. I recently read a study for one of my anesthesia courses that discussed the effectiveness of ibuprofen in dental pain relief. It surveyed patients and found that a few hours after extractions, ibuprofen was stronger than drug mixtures of asprin and codeine. If you or someone you know has a problem with an addiction to painkillers, you are not alone. There are treatment programs available that can help you overcome this problem. 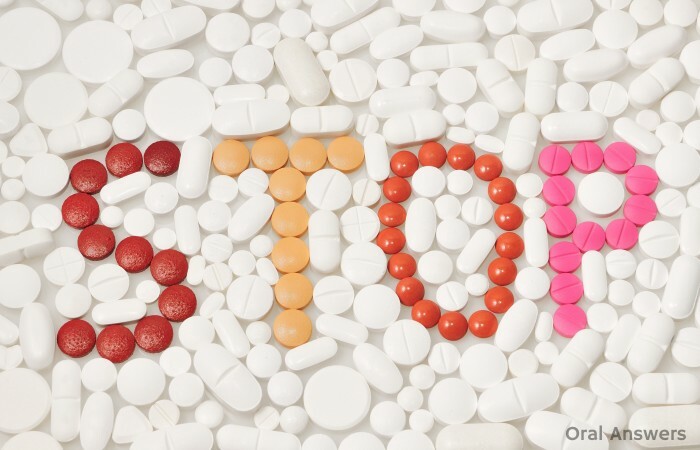 This page from the United States Office of National Drug Control Policy gives some helpful pointers on how to report illegal prescription drug abuse and how to help your loved ones that may have succumbed to this sort of drug abuse. 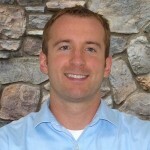 Do you have any questions, comments, or concerns about prescription painkillers and dentistry? I’d love to hear what you have to say in the comments section below. Thanks for reading! 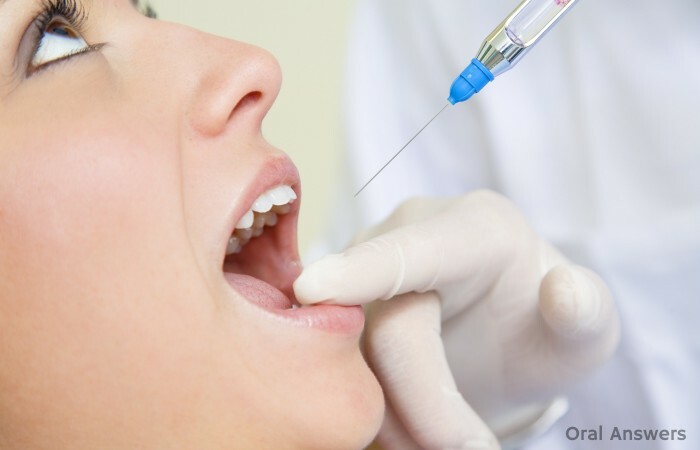 Did you know that over four million dental injections are given every year in the United States? The failure rate is estimated to be anywhere from 5 to 15%. that means that there are anywhere from 200,000 to 600,000 dental injections that don’t get the patient numb. That means that people get poked by their dentist with a needle and don’t end up getting numb about every minute. It’s no wonder that a lot of people come into my dental school and tell me something similar to, “My dentist has trouble getting me numb – I usually need a lot of novocaine in order to get numb.” As a side note, we normally use lidocaine, not novocaine as many patients believe. 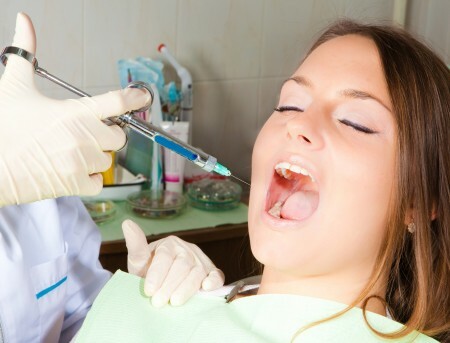 So why do so many dental anesthetic injections not work – why can’t your dentist get you numb? An article published in the January 1991 issue of the Journal of the American Dental Association sheds some insight into this issue by giving five reasons why dental injections sometimes don’t work. I also found a couple of others and added them onto the list below. Everyone is different. Some people’s jaw flares out wider than others, making it hard to visualize where that person’s nerve is. Some people have a longer jaw or extra muscle and/or fat around their jaw. In patients that are missing lots of teeth in the back of their mouth, it’s harder to visualize where the nerve is. Also, young patients can have different anatomy depending on their stage of growth, making it hard to get the anesthetic in the right spot. Dentists aren’t perfect! Sometimes we can put the needle in the wrong place and give the anesthetic too low, too high, or too far to the side. Also, we might not put the needle in deep enough, or we may accdentally deposit the anesthetic in a blood vessel, which is why your heart can beat fast when getting a dental injection. Some anxious patients may think that they aren’t numb and jerk away in fear when we start to drill. In cases like this, I usually tap around their gums on the numb side and then on the side that isn’t numb to let them feel the difference and realize that they really are numb. When people have swelling in an area, it can be harder to get them numb. One theory says that the acidic tissue makes it harder for the anesthetic to take effect. Antoher theory says that since the patient has been in pain for so long, use tramadol pain medicine, they have an increased sensitivity to pain which makes it harder for them to get numb. I haven’t had experience with this one, since my dental school has a pretty good quality control program to ensure that the dental anesthetic stays potent. 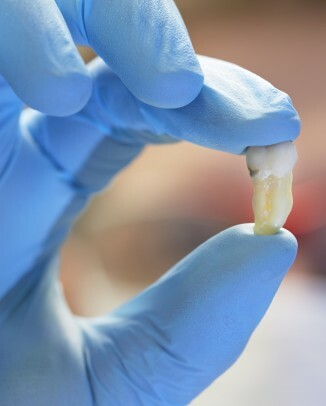 However, sometimes a dentist may use dental anesthetic that has expired or was improperly stored or manufactured. This made me realize that I should always go with a respected brand name of dental anesthetic and not get the cheaper stuff to save money. There’s no point in cutting corners if it will inconvenience my patients. People with red hair have more difficulty succumbing to the numbing effects of dental anesthetic. They also have a greater fear of the dentist. Those who suffer from Ehlers-Danlos Syndrome can be insensitive to local anesthetics used in dentistry. You can check out this article for more information on local anesthetic failure in those with joint hypermobility. If your dentist can’t get you numb, more than likely there is a specific reason. In my experience, I’ve found that there are many people who have slightly different anatomy in their jaws which makes it harder to position the needle so that the anesthetic gets deposited where their nerve is located. Do you have any questions, questions, comments, or concerns about getting numb at the dentist? If so, feel free to go ahead and leave a comment below. Thanks for reading!